Today you will find the answer to the question What is a bar graph? when you train with the famous Adventure Jones of Maze Escape fame. 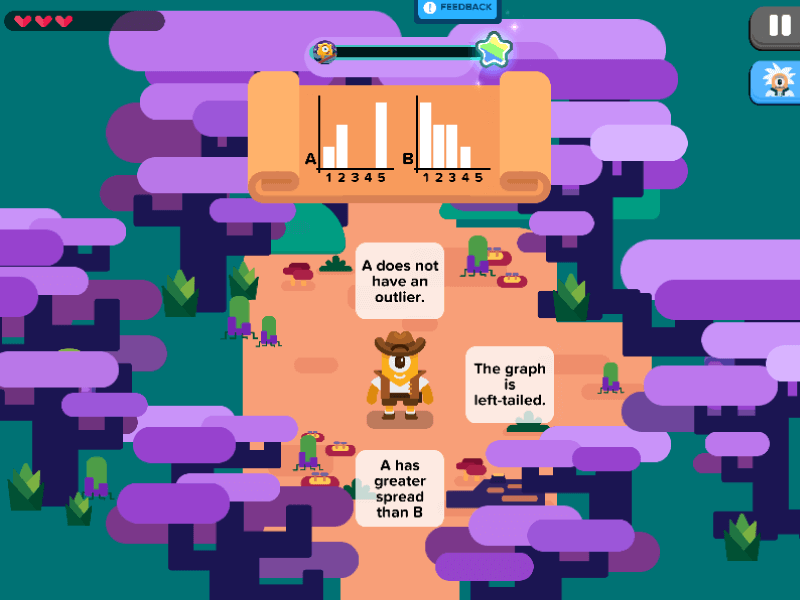 Excited and bursting from anticipating, you put on your high-crowned cowboy hat, and proceed to the wilderness for your first lesson bar graphs. In order to pass the test and score big points, you must understand the meaning of the heights of blocks in the charts. Your choices are to go forward, backward, left, or right and be richly rewarded with a heavy treasure chest of jewels. But be careful now, every misstep will awaken a group of masked tribesmen who will kick up a dust storm to surround you until you get it right. As every chart or bar graph appears, you make decisions based on your judgment. Are they symmetrical? Are the bars skewed to the left or right? Are they left-tailed or right tailed? Do the bars cluster on one side or do they distribute themselves to create a smooth and flat chart of bars? Decisions, decisions, decisions. What is a bar graph? Race through this maze escape without a daze!